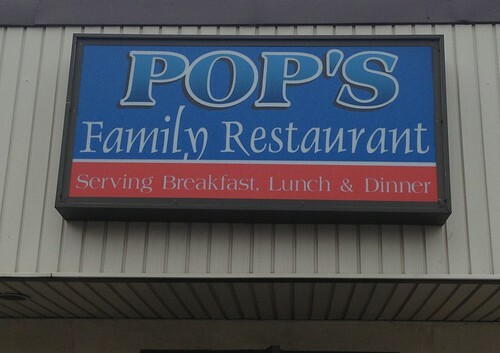 Pop’s Family Restaurant | Eat It, Damn It! Apparently, Pop’s is very popular with the Milford locals as they have a big breakfast crowd. The parking lot is completely packed and there is a large line despite the number of tables. Luckily, our party of four (myself, MG, and two friends) were seated immediately. I went with one of the day’s specials, Pop’s Tower ($8.95). 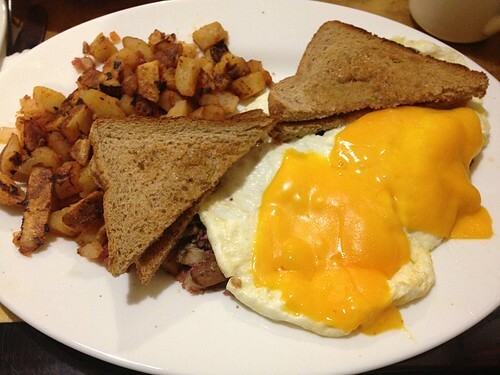 The menu describes it as “Homemade Corned Beef Hash layered with grilled mushrooms, three eggs any style and cheese”. I opted for egg whites with cheddar cheese. The corned beef is pretty good, but there were flecks of potato inside. I found that a little weird. It wasn’t bad, but odd. I’ve never known corned beef hash to be made with potato, but I guess that’s one option. The home fries were respectable. They were properly cooked and plentiful. 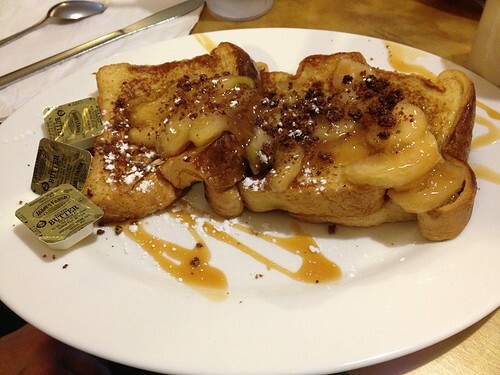 MG got the Caramel Apple French Toast ($7.95). Neither of us were terribly impressed by it, nor were we offended. The toast tasted good, but it could have been cooked a little longer. The topping tasted nice, but had a cloying texture. The dish was alright, but unless you really have a craving for caramel apple french toast, you might do better with something else. Check it out. 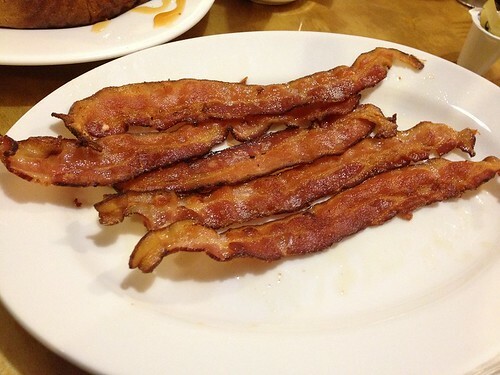 Another side of bacon as ordered by MG. It was properly cooked. 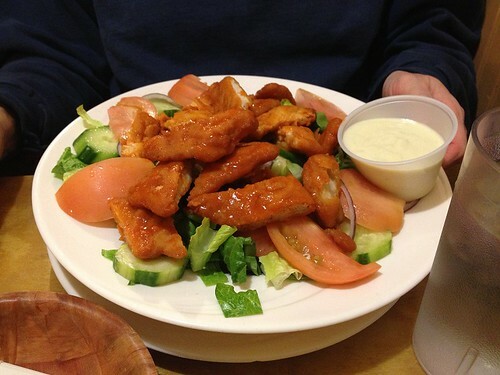 Our friends got a Buffalo Chicken Salad. They pronounced it “pretty good”. Pop’s did not knock my socks off, but they did provide a very respectable breakfast. While not spectacular, I would go to them again. Based on my eggs, toast, and coffee, I think I would do very well with a simple omlette.